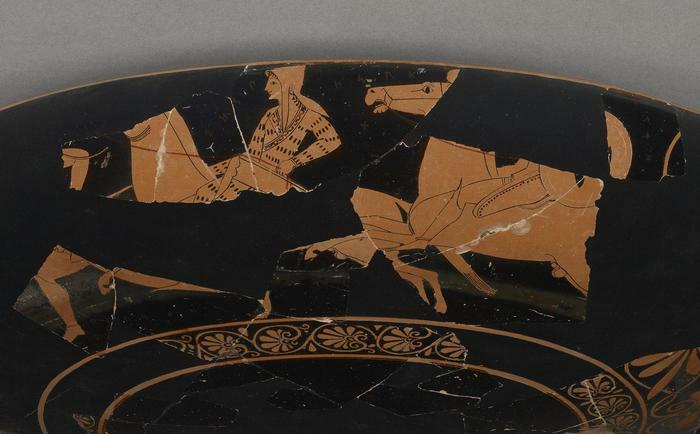 "I am impressed, and I find the conclusions quite plausible," says archaeologist Ann Steiner, an expert on ancient Greek vases at Franklin and Marshall College in Lancaster, Pennsylvania, by email. The results give weight to the suggestion that Athenians first learned of Amazon legends and names from foreigners in their midst, she says. Wouldn't have expected a +2000 years warrior woman to have a "Hot Flanks" nickname... whew! That's really interesting. Ancient History is a bit of a game of detective with immense skill that goes into it. The way they piece together the past, find new information, evaluate current conceptions and challenge them is just so admirable. Namjoon, Yoongi, Sukjin, Hosuk, Taehyung, Jimin and Jungkook also do not form meaningful words but mean something. These names might have meant something to the people back then, since they were the girl groups of the day. This is pretty interesting! Also it would be so cool to be an expert on rare languages. That was so cool to read! Erm...while this is really interesting, the subject of the Amazons in Greek mythology is a far more complex matter than what the article makes it seem. So is the the subject of 'abracadabra' inscriptions in ancient greek pottery. According to my understanding this claim is in no way broadly accepted in the field of classical studies. Also, it seems like the linguistic analysis was quite inconsistent, maybe somewhat driven by the attempt to prove the Skythian/Thracian origins of the greek mythological Amazons. I'm not saying in any way I'm some kind of an expert here, this is simply my knowledge on the matter, so I could miss sources that might be more definitive. If I do I would be glad to be pointed to them and read them. In any case, this is definitely a subject that requires and deserves more research. I mean yeah, nobody can tell for sure. The cutting off of the right breast attributed to the amazons alone is enough to see how tricky this whole thing is as they were always presented from the outside, "anormal" world. That’s honestly pretty cool. I particularly love when one culture reveals elements about another culture that did not have writing or whose documentation didn’t survive to modern days. Human nature are the same , then or now. The pictures of the amazon girls would have been the equivalent of their music videos.